Wonderful carvings JoAnn. I have done some, I know the amount of work and time involved.. Thanks Ron, Yes, the carving does take a long time. That is why I am now trying some slip casting. 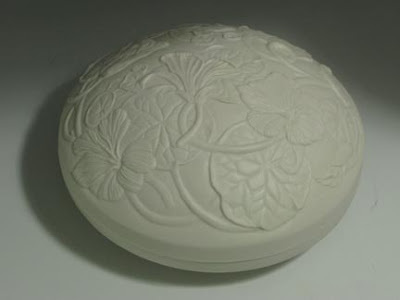 I have a mold made of the piece after it is bisque fired. This box is slipcast.